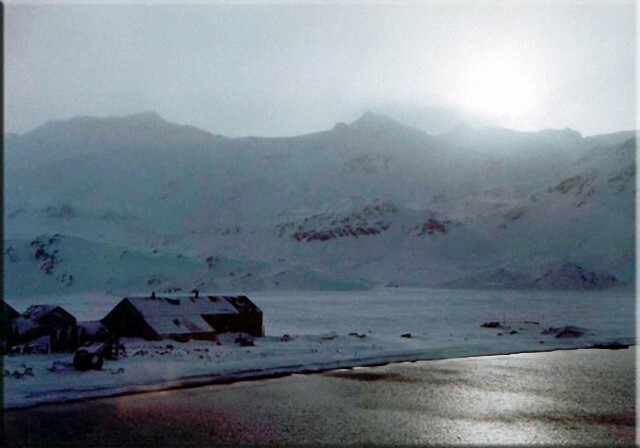 Images from Kevin Galsworthy’s personal collection. 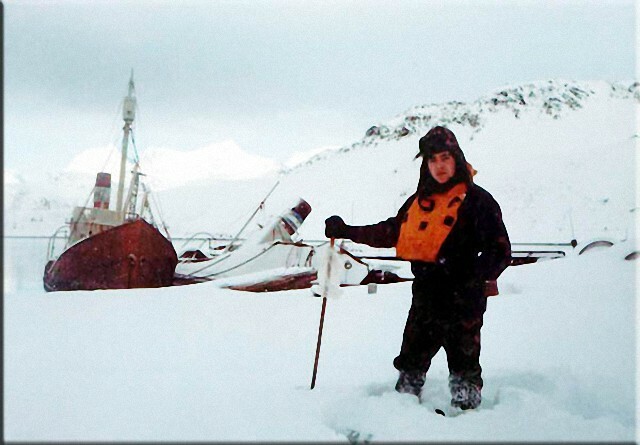 Kevin, a Royal Navy Diver during the conflict in 1982, in front of Dias and Albatros. 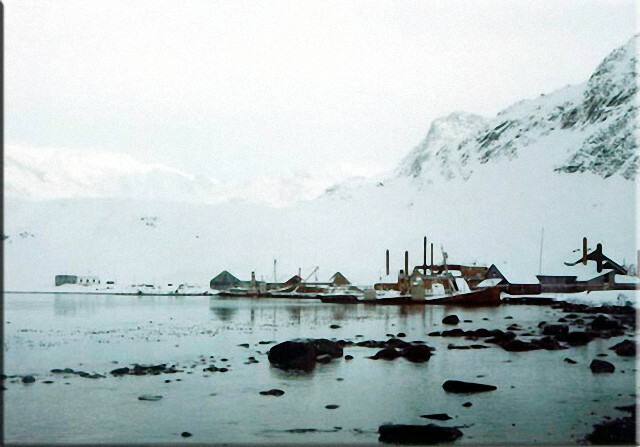 Dias and Albatros at Grytviken. As can be seen, not a lot has changed over the years. 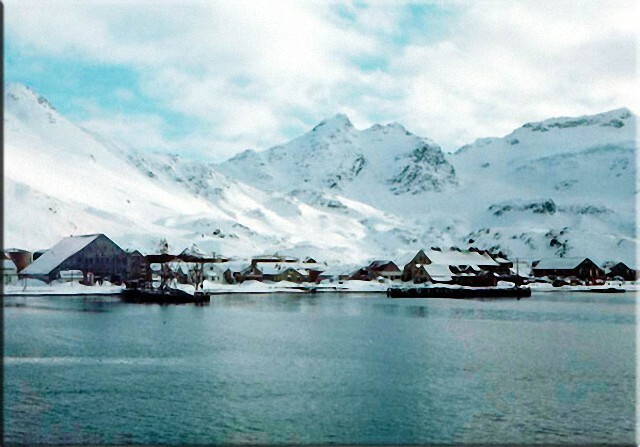 Grytviken as it was during the Winter months in 1982. 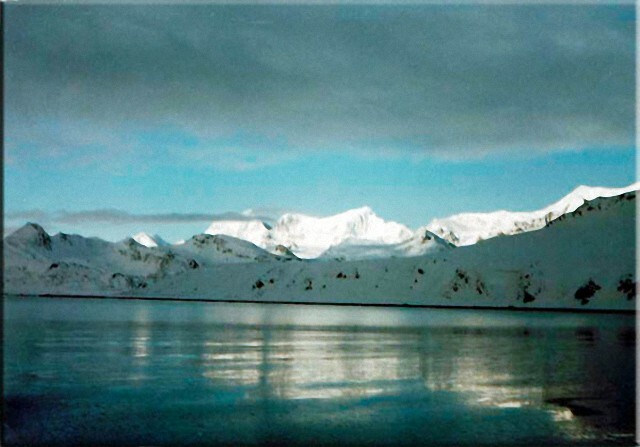 A nice shot of a very heavy sky over Cumberland Bay in 1982. 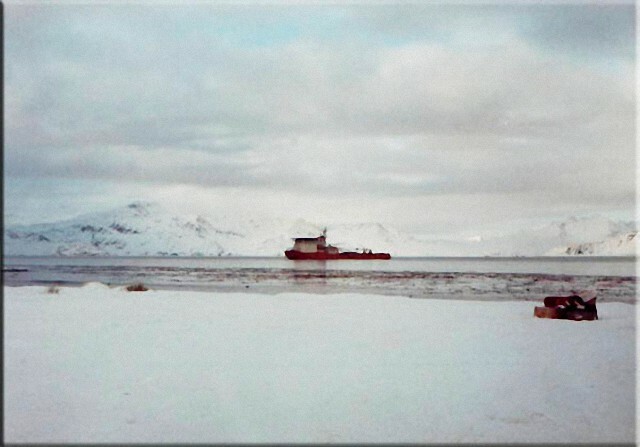 Stenna Inspector in Cumberland Bay, South Georgia. 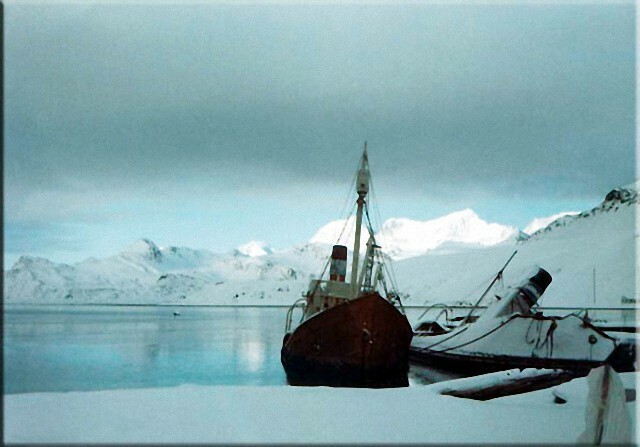 The ship was later purchased by the Ministry of Defence, renamed RFA Diligence, and became a submarine support vessel. 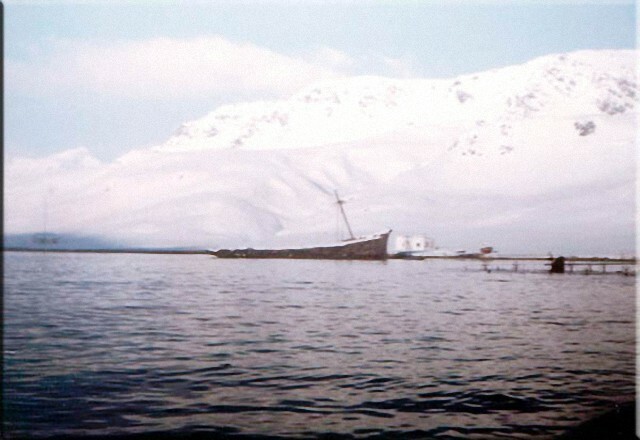 The hulk of Louise at Grytviken before fire burned her to the waterline. 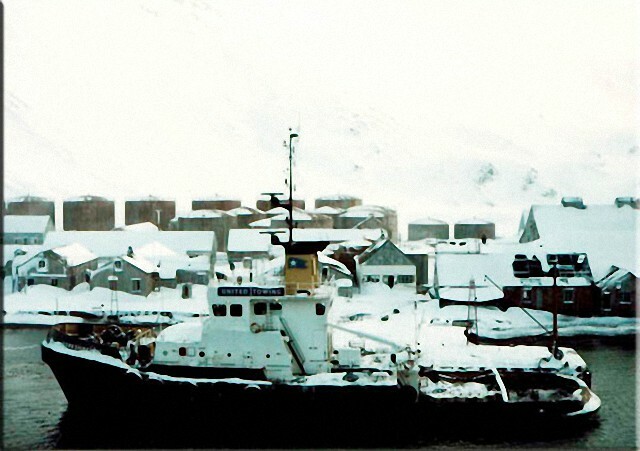 United Towing's tug Irishman seen alongside at Stromness. 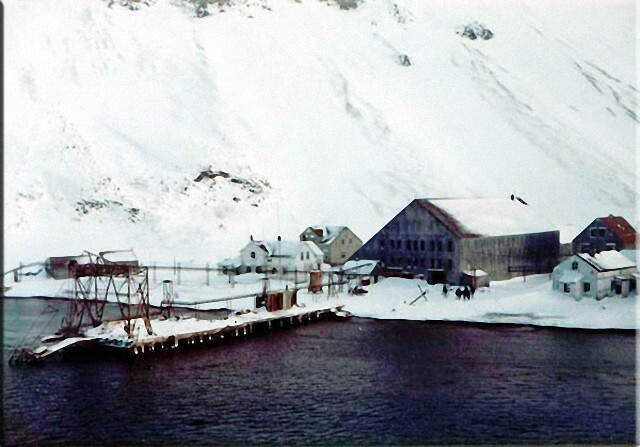 The main workshop area of Stromness as seen from the bay. A very moody and heavy shot of the far end of Stromness. A lovely shot of the engineering workshop and store behind the bunkering jetty. Photographs supplied by and copyright of Kevin Galsworthy.